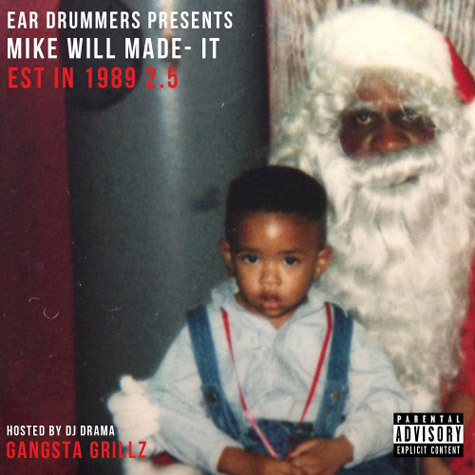 Young Atlanta producer - Mike WiLL Made-It released part 2.5 of his 'Est. In 1989' mixtape. Mike WiLL has produced major tracks this year such as - 2 Chainz ft. Drake 'No Lie', Juicy J 'Bandz A Make Her Dance', Future ft. Kelly Rowland 'Neva End (remix), and Rihanna 'Pour it Up' to name a few. The mixtape is hosted by DJ Drama (Gangsta Grillz) and features the likes of: Future, Will.I.Am, Kelly Rowland, Rihanna, Brandy, T.I., Juicy J, Cheef Keef and more.